We can't thank you enough for all you have done to make this sale a reality!!! You both went above and beyond in every aspect of our dealings with you. It is always difficult to sell a home when all the parties live a good distance away, but you always kept us in the loop and we truly appreciate the time you took to drive out and meet with us or repair men, or to even clean up. Your professionalism is evident in everything you do. Your recommendations for the remodel were "right on the money" and I believe that was the factor that eventually sold the house. This is bitter sweet for my dad since he and my uncle built the home, and your thoughtfulness in recognizing that this would be a bit emotional for him again says volumes for your character. "Your service was beyond expectation, and (beyond) our past experiences. Keep doing what you are doing! We would recommend the Swindens to anyone, anytime, anywhere that (desires) to work with the experience and expertise of a top notch real estate team. They exemplified professional integrity; truly a team any homeowner can trust." "The Swindenhomes Team served us well by streamlining the process for us by researching and recommending homes for us to view. Larry did not over-explain the process but provided adequate information for first time home buyers. He also provided excellent referrals for mortgage lenders and attorneys." "Laura´s (and the Swindenhomes Team) communication was outstanding! You kept us informed in every step of the process. You warned us of potential hurdles and guided us through the process with your expertise and knowledge of the market. We would highly recommend you (and already have) to anyone wishing to sell or buy during this difficult market. Working with Laura and Larry was a delight. They went far above and beyond their responsibilities. When the house was empty due to our move, Laura kept tabs on our house to make sure that it was secure. They staged the house professionally (which she did not have to do and ultimately helped to sell it) and dealt with all the selling process. Outstanding! I would like to clone her!" "The Swindenhomes Team served us well by staging the house and meeting with contractors." I think the reason the home sold so fast was because it showed so well on your website. You presented it very well! "After using 5 different real estate consultants, Larry and Laura worked the hardest and were very committed to our needs. Without a doubt, the best experience I have had." 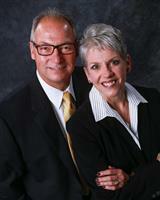 "I was once again amazed by you, Laura and Larry, for your committment to sell a house. You guys are great; love ya and thanks again." - Dustin Hoffmann from Round Lake. You were always willing to stick with us and show us more homes - even if that meant for months! You were always willing to accommodate our schedules. Larry went above and beyond in all ways possible. For example, snow blowing the driveway before we owned the property. Exceeded expectations of involvement with nitty gritty details - very helpful since I was remote seller of my dad's house. Larry and Laura stepped in and took care of things they saw that needed attention and kept me informed of the situation. You were honest and upfront, reliable, conscientious, gave more than what was expected or required of you, and I really appreciated all you did for me and dad. 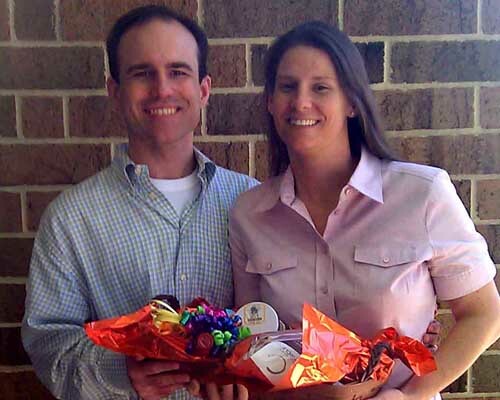 My husband and I hired Laura and her team to purchase a home ... and to sell another home. Her experience and knowledge of the real estate industry is unprecedented. Laura operated with the highest integrity and definitely goes above and beyond, with time and research, to ensure your home is in the best position to sell. I highly recommend her to anyone looking for a great realtor. I want to thank you and Larry for the outstanding job you did and all the little things that helped me so much. Once again it was a pleasure to work with you and to have someone I could rely on and have complete confidence in while I was already living in another state. Your attention to detail and your knowledge and experience contributed to getting the job done. When I picked you to sell my home, I knew I picked the best and most professional agents in town. Housing prices started to fall just as we listed our home. Laura kept up the showings and encouraging words throughout the two and one half years it took to finally sell. But, it did sell when many others did not! And, Laura used great creativity in marketing - even staging an "historical tour" for the house with costumed guides. I can't say enough good things about working with the Swindens. Thank you to Larry, also , who worked tirelessly behind the scenes. Words don't do justice to the thanks Julie and I have for the above and beyond work you did to help Love-Light find our new home. The addition of your friendship along the way was/is icing on the cake! Your honesty, integrity, and professionalism are what set you apart. 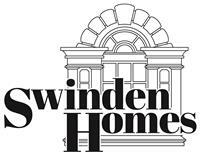 "The Swindenhomes Team served us well in every way that you can!" 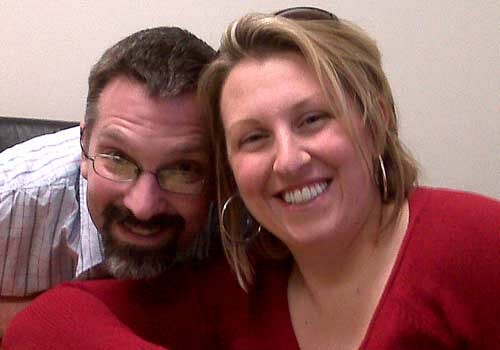 Top 25 Reasons we love Larry and Laura Swinden! 1. Picking us up at our apartment countless times. 2. Great vehicles to ride around in. 3. Saved us from ferocous dogs! 4. Coffee stops while house hunting. 5. Praying for us for at least 11 months. 6. Providing veggies at home inspections. 7. Faithful example of a church elder. 12. Faithful example of a great married couple. 14. Amazingly patient with us. 15. Amazingly gracious, even after homes 65, 66, 67, etc, etc. 16. Being flexible to meet/see us whenever/wherever. 17. How cool that your phone number matches your house number. 18. Always having water for us in the car rides. 19. Both coming to our final walk trough. 21. Countless contracts signed, sent, faxed, etc. 22. Hooking us up with a great banker, attorney, and inspector. 23. Very nice & sweet to random British ladies that tag along. 24. Nice to let our parents come along. 25. Helpful psychologically with teaching us good tests (i.e. spook your spouse) to learn other's true personalities. Thank you Swindens! Thanks for helping us find a wonderful home! You made us comfortable in every aspect of purchasing our first home. I couldn't have asked for anything more. This could not have happened without you two! You went beyond the call of duty and always treated my mother with the utmost respect and professionalism! Careful attention to our needs and preferences. Knowledge and explanation of selling and buying process. Very available and responsive service. Very professional, yet fun to work with! Since we needed to move out of state before our home sold, it was impressive to us how you went above and beyond what we expected while our home was vacant. Professional, personable, makes house selling feel like a partnership instead of a "home sale". Went beyond the call of duty! You took lovely pictures of the home. You advertised a great deal and sent us copies of ads and feedback from the web site. When we expressed confusion in the beginning, you took a great deal of time in a brainstorming session. You helped us more than we knew to help ourselves. You found homes that worked for us including our new, perfect house!